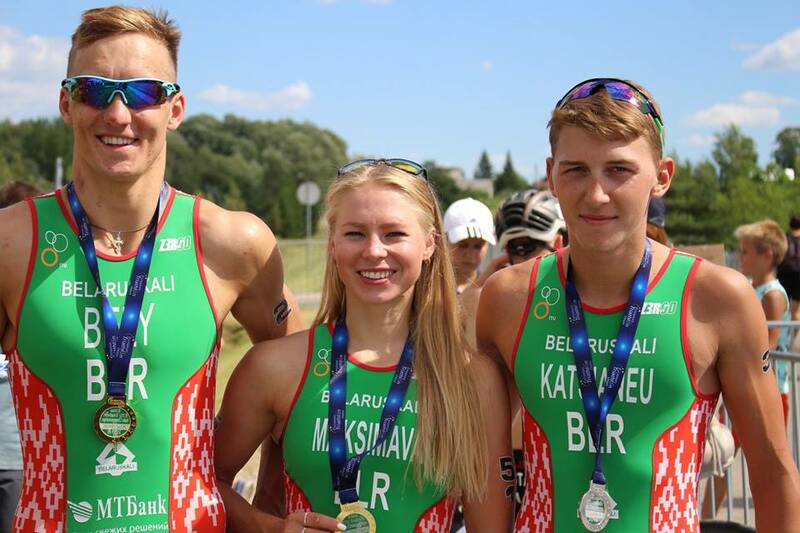 Golden weekend for Belarus’ athletes as Baltic titles go east. Within Europe and our almost 50 national federations, we are fortunate to have several small collections of nations who annually hold their regional championships. From the Nordic Championships, to the Baltic, to the Balkan and to the Mediterranean, we have races that decide those champions but are at the same time open to any athlete to race. This weekend just gone saw the Baltic Championships, hosted this year in Kupiškis. The Lithuanian Federation has held events here for many years and the venue is perfect. Traditionally a race that has attracted Ukrainian and Belarusian athletes, this weekend was to be a truly golden one for the Lithuanian’s neighbours. The women’s race favourite was Hanna Maksimava BLR. A bronze last year at the full distance Almere-Amsterdam ETU Challenge Long Distance Triathlon European Championships and a victory over the middle distance at the Gunsan Saemangeum Long Distance Triathlon Asian Championships in May this year showed that she was tuned well to longer distance events but over this sprint distance event, she would have to work really hard to ensure victory. She was some distance behind Katrin Zaitseva EST, who won silver at the 2016 Baltic Championships, held in Valga on the Latvia / Estonia border. 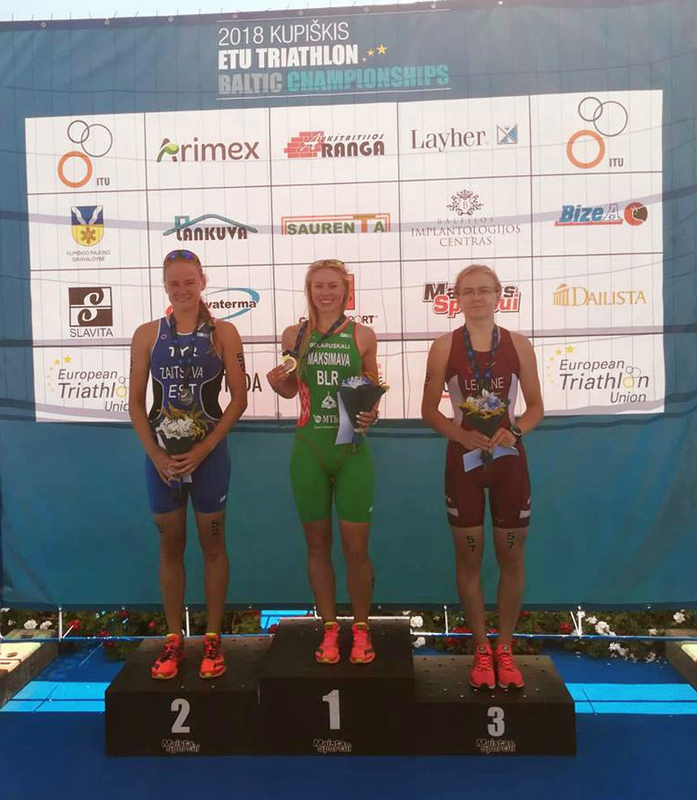 Ukraine’s Maryna Sokolova https://www.triathlon.org/athletes/profile/106449/maryna_sokolova swam well and was just behind Zaitseva but Maksimava, around 50 seconds behind the leader, soon caught the leading pair on the bike. Back down the pack and Latvia’s winner here in 2016, Daniela Leitāne was having the ride of her life after a poor swim. With the 5k run ahead, it was time for Maksimava to turn on the turbo-charger and she burned off all challenges, to take victory by a clear minute. Behind her, the strong swim and run combination of Zaitseva was enough to hold on to silver and it was Leitāne’s impressive bike that took her easily into bronze. So, the first Baltic Champion title went to Belarus. With the powerful duo from Belarus; Mikita Bely and Mikita Katsianeu, there would be immense pressure on Lithuania’s Alberto Eugenio Casillas García to try and keep the duo at bay. Alexandru Ion ROU led the swim out with Katsianeu at his heels. Casillas was just three seconds down but the temperature was now pushing up into the low 30’s and it would be hot out there on the bike. 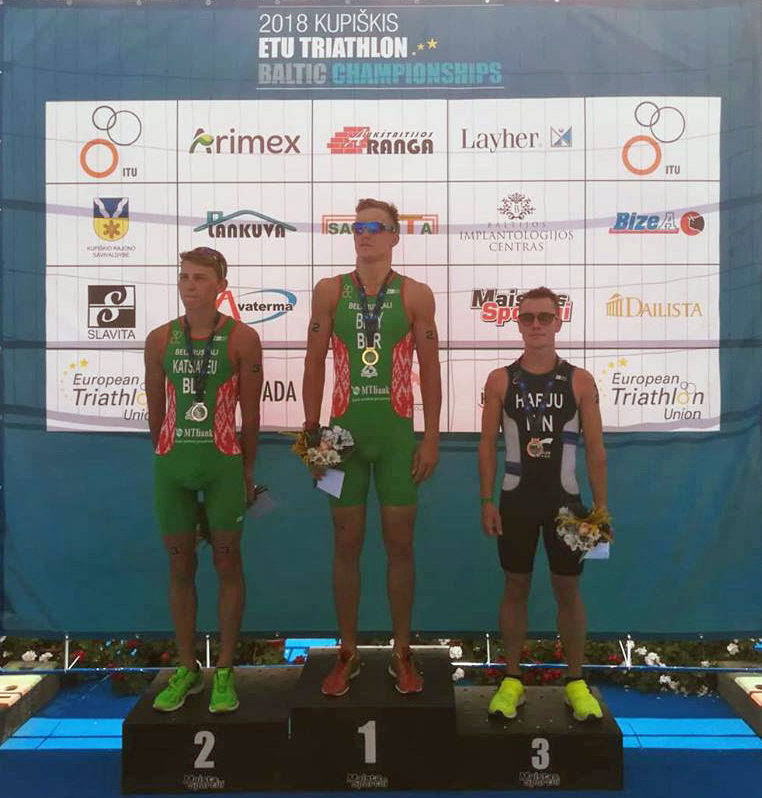 Any plans Casillas had of working with his teammates, Tautvydas Kopūstas and Titas Pumputis LTU, were dashed after they failed to stay with him in the swim and he was out on the bike alone with the determined Belarussians. Kopūstas worked well on the bike and was in good position as he came into T2 but Casillas was fading on the run in the heat and ahead of him the speed of the green uniforms was too much. It was Bely who found that extra gear and pulled away to cross the finish line as champion. Katsianeu came home an easy second but it was a really measured race from Finland’s Kim Harju that gave him his first international podium. A great video has been put together by Katsianeu. Click here to enjoy it.